This article discusses a recent licensed WiMax case study that Siemens AG, Industrial Communications group and one of our utility clients released. It talks about some unique communications challenges our utility client had and how we were able to solve them using licensed microwave point to point wireless backhaul and licensed WiMax. Like most all utilities they have dozens of sites out in the field of their coverage area. Most of these sites have SCADA, cameras, access control, meters, etc. They needed real time connectivity and reporting. The solution was to provide licensed wireless connectivity to multiple fixed locations, using a point to multipoint wireless Ethernet bridge system. This wireless backhaul network would allow for SCADA telemetry, remote network connectivity, and also allow some mobility for their workforce. AO Wireless choose to use Siemens RuggedComm Licensed WiMax for this solution. 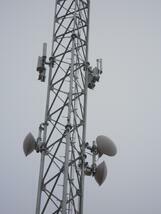 AO Wireless helped our client acquire spectrum in the 2.5GHz band from a carrier. Basically it only cost them $1500 a year to own their own licensed radio frequncy that provides interference free operations, greater wireless security, and better RF probabgation. As part of the overall wireless backhaul network, AO Wireless, also built out over 575 miles of full duplex, licensed point to point microwave backhaul. The point to point licensed wireless backhaul was set up in a 2+0 configuration with multiple ring topologies to provide greater redundancy and greater wireless Ethernet capacity. This outdoor wireless network (wireless WAN) gives them a GigE throughput capacity for future needs.